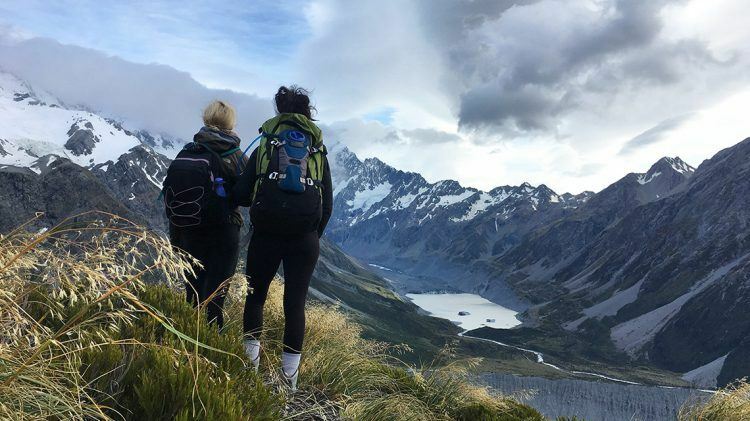 Personal trainer and nutrition coach Hannah Porteous explores the healing magic of hiking. For as long as I remember I have hiked. I started at an age where I can safely say that my backpack was almost bigger than me, and it only grew from there. 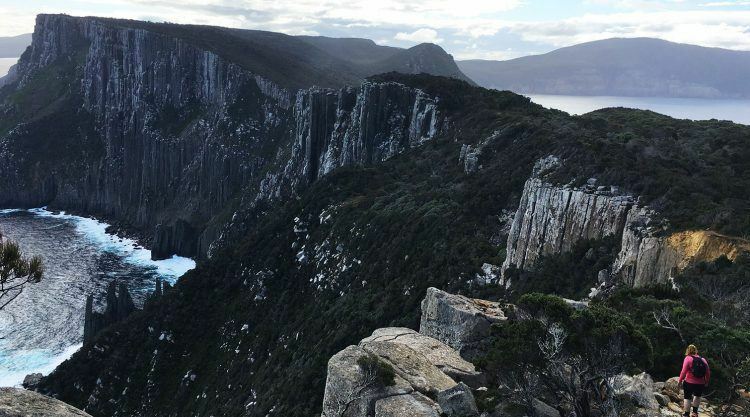 I hiked along the East Coast of Australia with my family most summers, I celebrated finishing high school with a 5-day trek in the mountains of Tasmania, I set my sights abroad and explored the Himalayas of Nepal, and spent 5 weeks walking across Spain on the Camino de Santiago. Each day was a challenge and each day was incredible. But then, sometime in my late 20s, hiking slipped off my list of priorities. I lost myself to a busy work schedule and a hectic social life. My energy had dropped—I felt sluggish, I was cranky and I lacked focus. Luckily for me, it was at that point that a dietitian prescribed that I ‘take a forest bath’ to remedy my problems. Once I started researching, the message was clear: my daily stresses had depleted my battery and I was in real need of a nature fix. This was a profound shift for me. In all my years of hiking, I had taken its impact upon creating positive mental health and well-being for granted. The connection between the two became my new obsession, and after shifting my focus back— thanks Coast Track —I was able to reclaim my energy. While the American Public Health Association has found that being in nature is enough to significantly increase relaxation and therefore relieve stress in and of itself, hiking combines a number of potent stress relievers that take you that one step further. • Disconnection: It’s rare to be able to fully unplug in an urban environment and the remote nature of hiking offers an opportunity to disconnect from technology. Scrambling over tree roots and traversing gullies forces you to be mindful of your surroundings — hiking means being fully present. • Time to think: Beyond disconnection, hiking gives you time without a bombardment of external stimuli. This allows the brain to slow down, gain perspective and enjoy some new-found headspace. • The endorphin rush: Aerobic activities such as walking help reduce stress by releasing ‘feel good’ hormones: endorphins. As little as 20 minutes of moderate intensity exercise regulates stress by strengthening the body’s internal stress-management system. Happiness has been found to be greater in people surrounded by greenery and nature than people in urban environments. This is not a new concept and people in Japan have been prescribed Shinrin-yoku or ‘forest bathing’ since the 1980s. The happiest times of my life have been on the trails. Looking at the research around the benefits of being in a natural environment and cardiovascular activity (let alone the sense of accomplishment!) this comes as no surprise. These days I head out on the trails twice a month, whether it’s a 2-hour stroll or a 3-day hike. And while I had always been focused on the physical outcomes; the challenge, the fitness and overcoming obstacles, I now also hike as a form of moving meditation. Don’t be scared by thinking you have to start big—just get out there. It’s my fuel for happiness. And, with the right approach, it can definitely be yours, too. • Tell someone where you will be: safety first. • Carry plenty of water: hydration is key. • Invest in a pair of quality socks: blisters are the enemy.